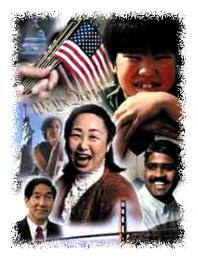 Every year, the United States officially celebrates May as Asian American History Month, a chance to reflect on the experiences and important roles that Asian Americans have played in the nation’s history. This Learning Life quiz is a modest contribution to honoring and publicizing Asian American heritage, with a special focus on Asian Americans’ experiences in railroad construction, World War II, and the 1992 Los Angeles Riots. Special thanks to Learning Life intern, Craig Gusmann, for conducting the research for this quiz, and drafting the questions and answers. 1. Which Asian American ethnic group was instrumental in building the First Transcontinental Railroad in the 1860s? 2. True or False: The U.S. government moved to restrict Chinese immigration to the United States in the late 1800s because of higher crime rates among Chinese immigrants. 3. What Asian immigrant group filled in on railroad construction when immigration restrictions reduced the supply of Chinese laborers? 4. On February 19, 1942, U.S. President Franklin D. Roosevelt issued Executive Order 9066 forcing Japanese Americans to move into seven internment camps in isolated areas in seven western states. How many Japanese Americans were forced into these internment camps? 5. True or False: The 1992 Los Angeles riots brought simmering racial tensions between Chinese Americans and African Americans to a boil, leading to the destruction of thousands of Chinese-American businesses.